The Northern China import price of 62% Fe content ore gained 2.3% on Tuesday to trade at $62.90 per dry metric tonne according to data supplied by The Steel Index. The price of the steelmaking raw material is now up more than 18% from year lows hit two weeks ago. "We're not expecting to see a full-blown rally from here, but something in the low $60s looks reasonable over the next few months," said Daniel Hynes, commodity strategist at ANZ. "While demand is strong, supply is also strong," said a trader in Beijing who last bought cargoes two weeks ago. "We're very cautious about rising prices." 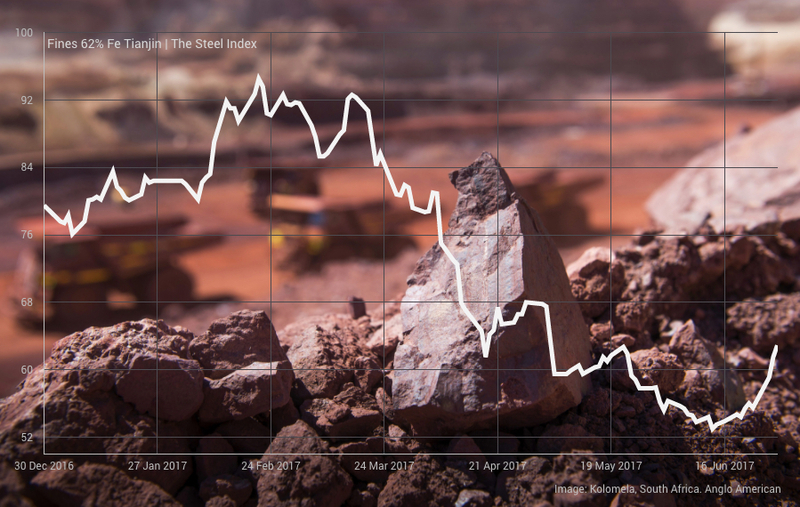 Iron ore's rally goes counter to what most analysts believe is in store for the market which has been in oversupply for more than two years.